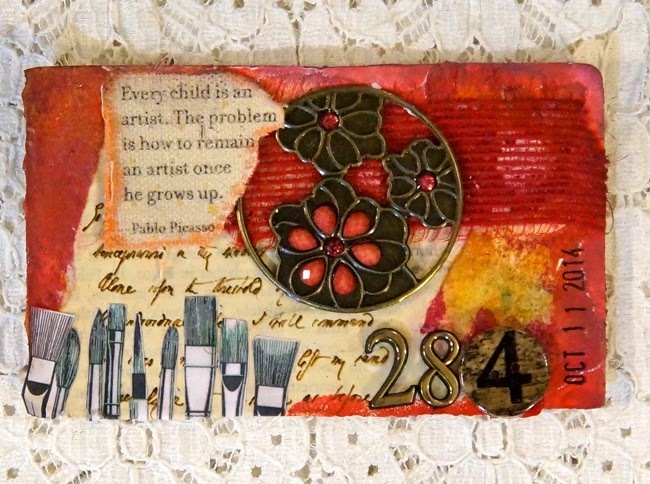 RCAD 284 was inspired by a tag I found with the quote from Pablo Picasso, "Every child is an artist. The problem is how to remain an artist once he grows up." I really believe that we all have artistic abilities but we forget about them, and don't cultivate them. Also many negative comments along the way stop us from trying. I do hope you get your colors out and keep playing.